Let us take care of your dinner ideas! Here are 60 throw-together meals for families that don't have time to think! Pasta carbonara is one of the easiest meals to prepare and is ultra comforting, thanks to the rich, creamy sauce (that doesn't actually need any cream!). 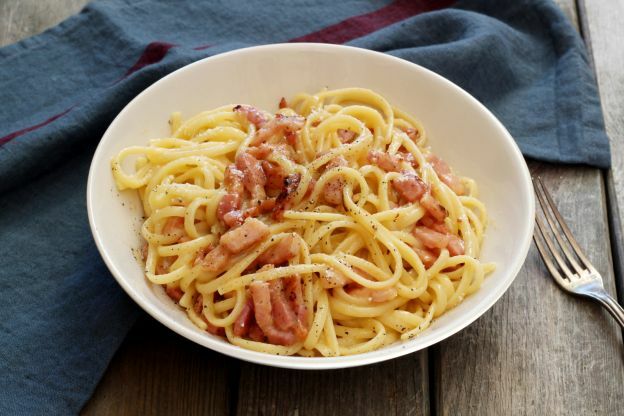 The authentic recipe uses guanciale, an Italian cured meat made from pork jowl or cheeks. If you can't find that, regular bacon lardons will do the job. Get our step-by-step recipe here.